See how these 5 rod builders and pro anglers built their way to fishing in FLW’s biggest bass fishing event of the year! Custom rod building is without a doubt one of the most effective methods to boost your fishing numbers. From increasing strikes and improving hooksets, to maintaining fish and having the right rod specifications, rod building gives you the utmost control of your fishing performance. Not to mention, that with the ability to build rods—also comes the ability to repair rods. Meaning not only is rod building more effective in performance, but in providing sustainable that can last for the longevity of an angler’s career. This often helps the Mud Hole pros keep that favorite fishing rod on the boat year after year on tour. 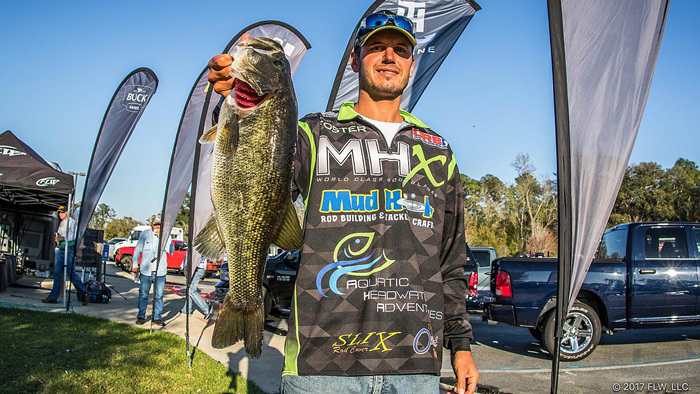 In fact, FLW Pro John Cox would be the first to tell you that he is rather tough on his equipment, however, he still fishes the exact same FP885-MHX Frog Rod that won him the Forrest Wood Cup. Since capturing first place at the Forrest Wood Cup in 2016, Cox has been busy fishing, building more rods, and of course, teaching the benefits of rod building to experienced fishermen and young aspiring anglers along the way. But John isn’t the only rod builder on the FLW Tour. In fact, he’s not even the only one fishing on Lake Ouachita for the Forrest Wood Cup! Pro angler and native Texan, Jeff Sprague is all set to fish his 5th Forrest Wood Cup in only his 6th season on the FLW Tour. If that doesn’t impress you, then you need to reread that sentence because his numbers are unreal and that level of consistency takes serious dedication. Not only does it show dedication to the techniques and tactics of bass fishing, but also dedication to making the most of every opportunity available to him. From operating a guide service on Lake Fork and other popular fisheries in East Texas, to using his down time to strategize better ways to attract bass, Jeff is always looking for ways to catch more fish. These opportunities have come on and off the water. For instance, one of the biggest came off the water when Jeff was introduced to Mud Hole and began building up his own custom fishing rods. Known for his grass fishing talents, Jeff now looks to rod building to help boost his skillset beyond the grass lines and compliment his abilities while fishing a variety of lures, techniques, and locations. Turning advanced knowledge of fishing rod mechanics into more strikes and bass limits at weigh-ins across the nation, Jeff Sprague has become a well-known name among the bass fishing and rod building community alike. Born and raised in Chicago, Illinois, FLW Pro Matthew Stefan is certainly a competitor to look out for in the Forrest Wood Cup. Not only an experienced pro on the FLW Tour, Stefan is also a full-time investigator regulating the futures and options industry. What does this mean for his fishing? Well look at it this way… this man successfully works in the stock market, which includes roughly a bazillion factors in each decision. So in that respect, figuring out the fishing patterns of a lake doesn’t sound too bad! When Matthew’s not predicting the future of stocks or competing on the FLW Tour, he enjoys down time with his wife and family, and also building his own custom fishing rods. Stefan got into rod building for the added layer of customization that it adds to his fishing game. After a brief conversation with Mud Hole and MHX Rods, Stefan knew rod building could really improve his skills across the country and also give him a fun way to keep tinkering with his fishing tackle and equipment. In addition to rod building, he is also known for customizing his own lures and baits. Lure crafting and rod building truly go hand in hand, and for Matthew Stefan, it’s a combination he hopes will take him to the top of the Forrest Wood Cup standings. 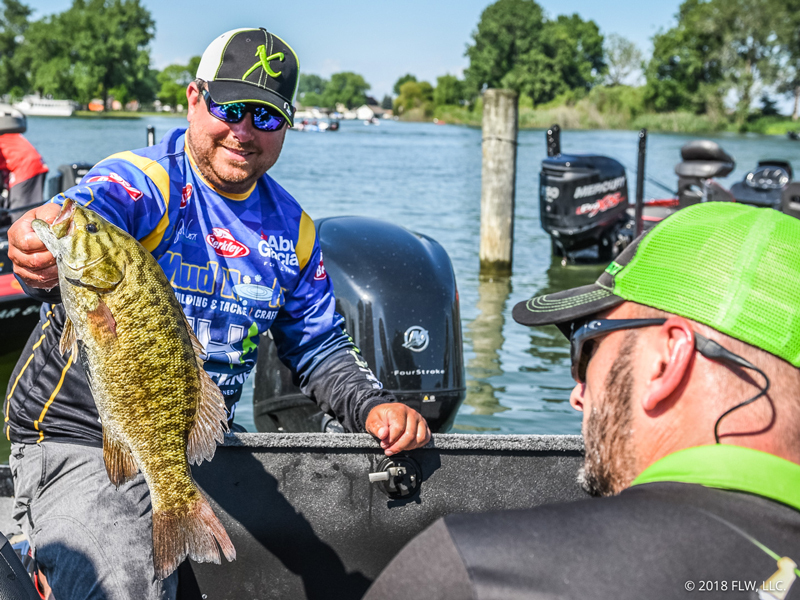 You would think that with working full-time as a teacher and competing as a professional angler, Chad Foster wouldn’t have much free time leftover. 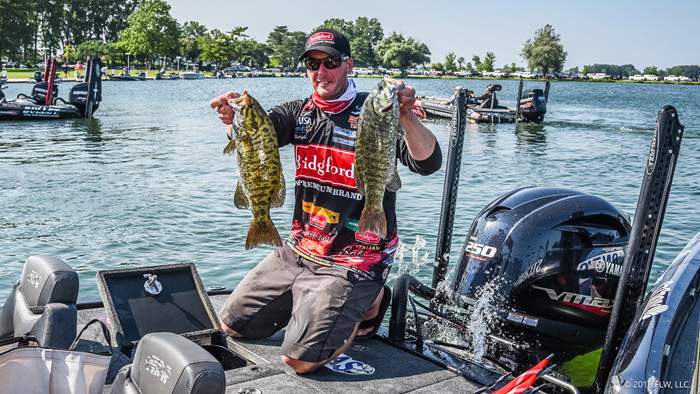 But working hard to teach while competing on the Costa FLW Series Tour is a challenge that has actually taught Foster to seriously sharpen his time management skills and his preparation for each tournament. A lot of this time and preparation is devoted to custom rod building. Although he’s an inherently talented fisherman, rod building has allowed Foster to expand his fishing skills beyond the techniques he grew up using. A diverse knowledge of bass fishing is half the battle in competition because building the right rods to take advantage of this knowledge will quickly make an angler stand out on the water. For Chad Foster, rod building has been an excellent benefit to his performance on tour. 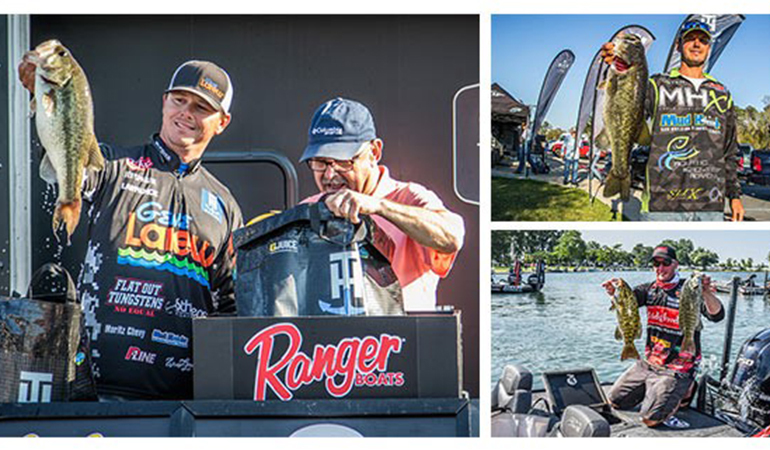 If you didn’t already know, the Costa FLW Series Championship at Kentucky Lake was an incredible finale highlighted by some wild lead changes on the weigh-in stage. 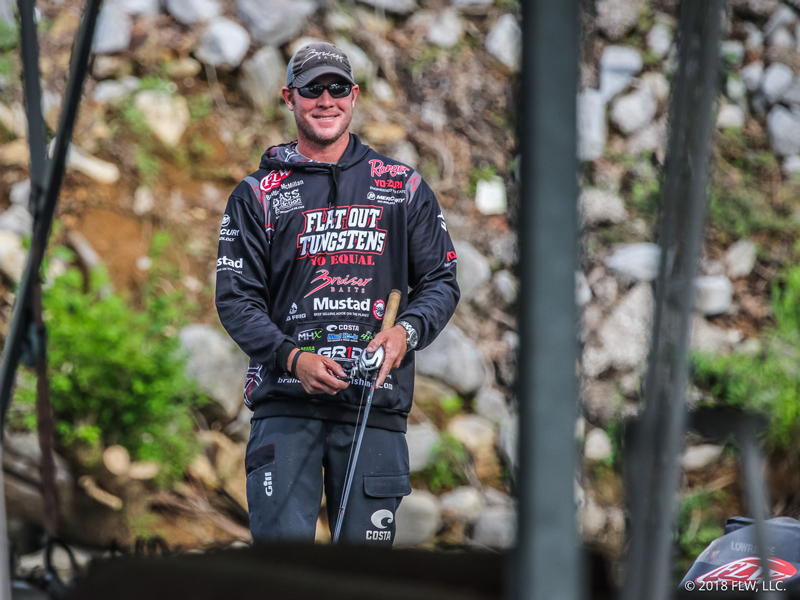 Tough fishing conditions gave the competition fits, but after two days of fishing, Chad Foster jumped from third to first on the leaderboard. This was an impressive jump considering FLW Pro Bryan Thrift stood alone at the top on day 1 with a staggering 27lb – 8oz, which was 7lb – 11oz more than Foster’s day 1 total of 19lb – 13oz. The morning of day 3, Foster knew it would be tough to maintain the top spot, however, he also knew a solid finish could land him and his custom fishing rods in the FLW Forrest Wood Cup. After capturing 5th place in a tight competition at the Costa FLW Series Championship, Chad Foster earned his place in the FLW Forrest Wood Cup as the Southeastern Division leader. But once introduced to rod building, a lot truly changed for McMillan’s fishing. By learning more ways to catch fish and then building the rods to match, John’s knowledge of patterns and his fishing abilities grew tremendously. These pro fisherman use rod building to catch big bass and cash big checks… but rod building can be so much more for you! Whether you’re a bass angler, a walleye guy, or even fish offshore, Mud Hole brings everything you need to build a custom fishing rod under one roof.